Everyone loves classic pool! We have tables available for rent for you and a few friends, or if you desire we have enough equipment for you to host a whole tournament! 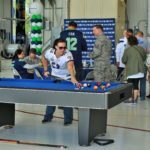 Our professional grade Pool Tables tables would make a great addition to any small party or large corporate event. 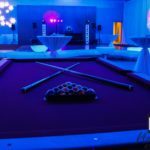 Rental Pool tables are available in both red and blue felt colors. 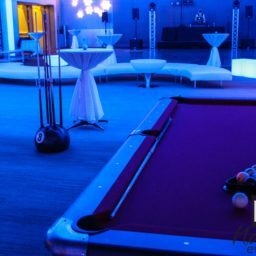 All of our pool tables are delivered with a full rack of balls, triangle and diamond racks, chalk, and plenty of pool queues. For larger rentals, pool queue holders are available as an add on. 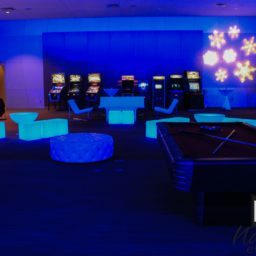 If you are building a larger game or arcade area at your event, professional staffers are available to monitor and assist guests with the games. 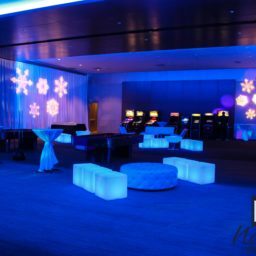 Replacing chalk and removing trash or abandonded drinks can keep your game area looking top notch throughout the evening or occasion. 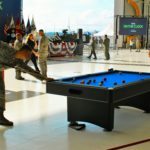 When your event attendees are done playing, the game attendant will re-rack pool balls, and create an enticing scene for the next person likely to come across the activity. 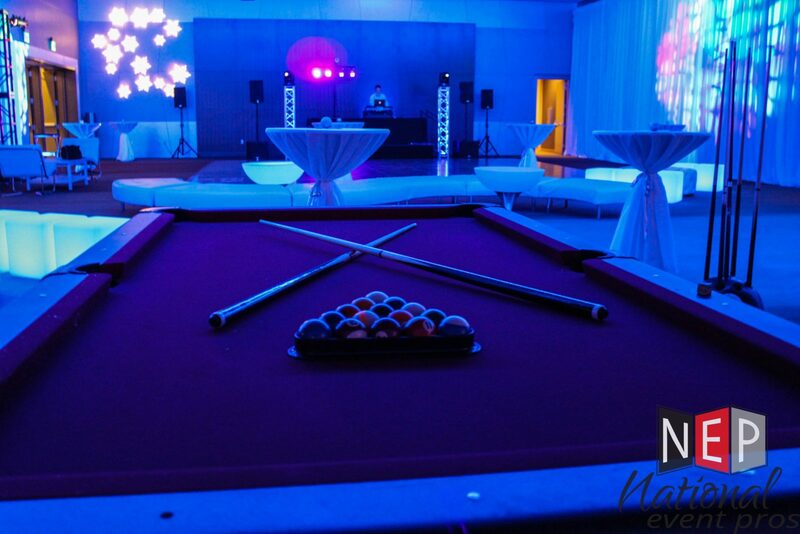 Pool tables are great additions to indoor events, especially holiday parties. 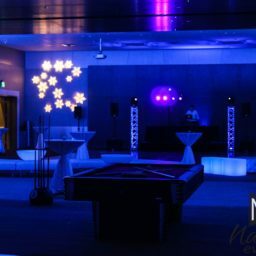 To avoid equipment damage, be sure to provide skirted cocktail tables nearby for guests to set their drinks on. 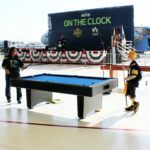 Pool and other rental game tables can also be setup outside, as long as the surface is reasonably level (no one wants to play pool on a hill!). 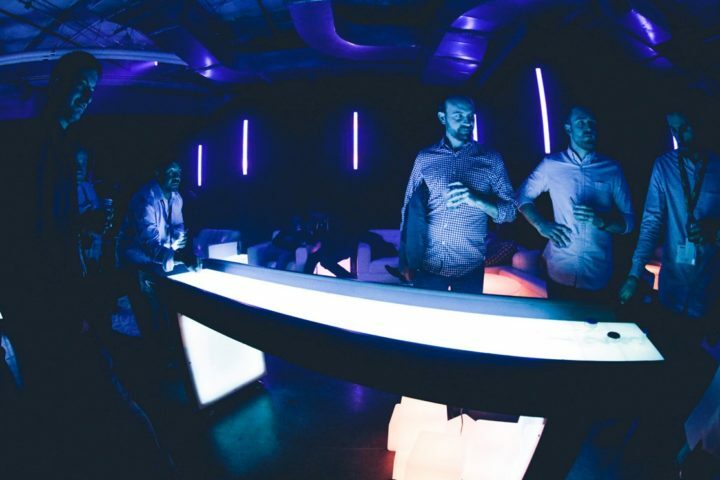 We're taking shuffleboard to the next level! 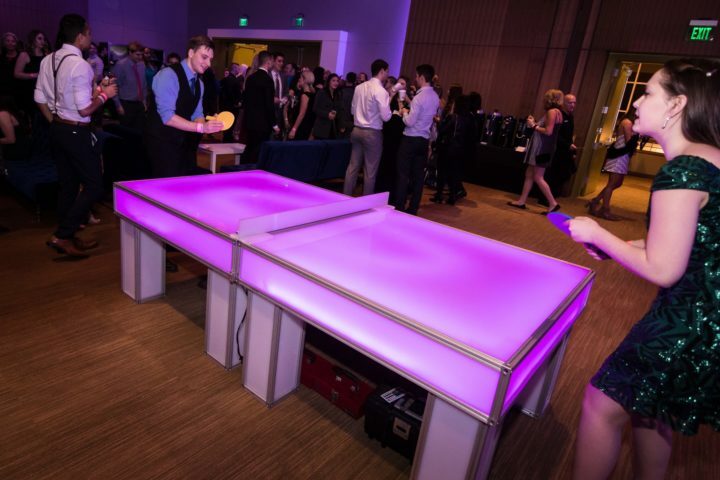 Our new LED 9' Shuffleboard table has many color variations and is perfect addition at your next event.